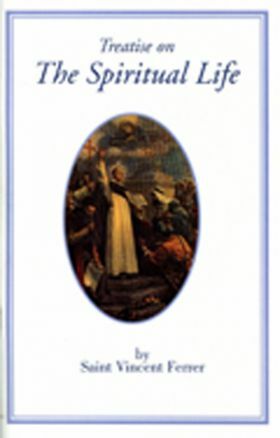 Any book written by a saint is a treasure, but a book written by one, who was hailed in his time as the “angel of the Apocalypse,” his Treatise consists of nineteen brief instructions on a variety of timeless spiritual topics, all but two of which are easily translatable to the lay apostles of today. The reader will find especially relevant this great preacher’s remedies for getting rid of the devil, keeping him always at bay, and discerning true from false revelations. If you want to be a saint, do as Louis Bertrand did, and take to your heart and to your domestic hearth this handy and portable book, written by a thaumaturgus (wonder-worker) who raised over thirty dead people to life and who converted twenty-five thousand Jews, thousands of Mohammedans, and countless thousands of heretics and sinners of all kinds. Chapter Ten: Rules of Sleep, Watching, Study, and Choir. In order to continue in abstinence and sobriety, live always in fear, remembering that this virtue comes only from God; and beg of Him grace to persevere in its practice. If you would be upheld therein without failure, neither judge nor condemn others; stifle the movements of indignation which you feel against those who observe not the necessary rules in regard to eating. Pity them, pray for them and excuse them as much as you are able. Bear in mind that you are no more than others in this respect; that it is Jesus Christ who upholds you by His grace, not in consideration of your merits, but solely by His mercy. You will remain firm if you cherish these thoughts. For why have so many, who courageously began and made great progress in abstinence and other virtues, fallen into bodily dejection and weariness of spirit? It is because presumption and pride made them confident of themselves, and filled them with indignation against others whose judges they constituted themselves, and whom they interiorly condemned. Hence, God withdrawing from them the gifts of His grace, they lost their primitive fervor; and falling into the opposite extremity and into a state of indifference, they have become sick and infirm; so that, in the end, by striving to recruit their health, they have exceeded in this the bounds of strict moderation, and are become more delicate and intemperate than those whom they previously condemned. I have known many such who have fallen into this misfortune; God permitting, as usual, that they who rashly condemn others should fall into the same faults which they reprove, and sometimes even into much greater. Serve then the Lord with fear and trembling; and when you are elated at the remembrance of His bounties which He has bestowed on you, reprehend and correct yourself, fearing lest He be irritated against you, and you perish by departing from the right path. Act thus, and you will remain firm and stable; for these are the means most agreeable to the all-powerful Lord, whereby you can resist intemperance.